Congratulations to "Taurus" the winner in Dana's giveaway. Thank you to all who participated! The beauty of writing Romantic Suspense is the plethora of story ideas. Just spend ten minutes watching the morning news and you’ll easily have 3 to 4 headlines that can be turned into full length novels. Even the traffic report can spark my imagination. ‘Fatality on Interstate 80 stops traffic for miles’. Maybe your hero is the CHP officer investigating the accident—who falls for the surviving passenger— who now has to live with survivors guilt after losing her best friend . . . and what about the accident? What was that urgent phone call the driver received which diverted her attention, causing the chain of events that killed her? The morning news is where I came up with the story idea for my first novel, Dangerous Embrace. The headline, ‘Woman fights off attacker after being thrown into the bushes and assaulted’. I already had my character outlines; I just needed my hook and a little help with the plot. What’s better than a woman fighting off an attacker and ultimately getting the best of him? It was the perfect story to fit my characters. Sarah Jennings is strong and she’s a fighter, refusing to let a man take from her again. She needed to save herself. Enter Mark Summors, my hero. He’s an alpha who doesn’t quite know what to do with someone as independent and strong willed as Sarah. Of course I let Mark do a little saving in the story too, but I wanted Sarah to be a strong woman, yet vulnerable enough to need Mark’s help. The plot blossomed from there. Sarah Jennings wants nothing more than a quiet life—alone. Raised by an eccentric mother, their life on the road only taught her how to run away from hard times. But when she finds herself in an abusive relationship, this lesson serves her well. Now, back in her hometown, she's found a place she loves. She’s a first grade teacher, and with few friends and less family around, she has what she wants, a quiet life under the radar where she can be free of her past and live quietly. Finally comfortable in her own skin, she’s settled, and less fearful than she’s ever been in her life. But it only takes one night and one act of violence for everything to change. Injured and afraid, Sarah wants to run again, but Mark Summors refuses to let her go. Just when Sarah thinks she can have Mark and the life he promises, her past comes back to haunt her. Mark Summors was born and raised in Santa Rosa. He married his high school sweetheart and never questioned his life, until he found his wife with another man. Now divorced, he wants something more. He’s passionate about his job, he wants to protect people, and he devotes his life to it. This time he’s protecting more than just another client, he’s protecting his future; at least, Sarah Jennings will be his future, once he convinces her she loves him. Sarah leaned forward in her chair and rested her face in her hands. And she was gone, walking toward the water, holding her sweater closed with her free hand. Mark did a mental head smack. Great job ruining the day, you jerk. He wasn’t even sure what he had just done, and he still didn’t know who Kevin was. Maybe it didn’t matter, but people don’t scream like that in their sleep for nothing. He dropped his head back, his eyes drifting up to the cloudless, bright blue sky. He understood why she loved this place. He wished he’d brought a tent so she could spend the night. He lifted his head to watch Sarah. She walked along the waterline, and from his spot, it looked like the waves were taller than her. They crashed hard before spreading foam across the sand at her feet. To his right, waves beat against huge rocks, sending sea spray fifty feet up. The sound of the waves and crying seagulls was seriously relaxing, and he hoped they did their magic on her, especially since he’d just ruined her mood. Looking at her now, he was overcome with an intense urge to go to her, hold her, and feel her wrapped within his embrace. He wanted to know what her sweater felt like, and the faded jeans on her legs. Run his hands through her wavy hair and smell it. Dana will be giving away a digital copy of DANGEROUS EMBRACE to one lucky commenter. Giveaway ends 11:59pm EST Oct. 9th. Please supply your email in the post. You may use spaces or full text for security. (ex. jsmith at gmail dot com) If you do not wish to supply your email, or have trouble posting, please email maureen@justromanticsuspense.com with a subject title of JRS GIVEAWAY to be entered in the current giveaway. Ooooh, I seriously need to stop reading this blog if I'm ever going to finish writing my dissertation... every time I pop by, there's a new book (or books) added to my TBR queue! Congrats on the release-- sounds legend! Chris, I have the same problem with this website. Every time I stop by, I add a book to my list. I an currently reading Dangerous Embrace and it has me completely hooked! You are so right about story ideas being everywhere - the minute I step out of the house something hits me! Congratulations on your fantastic book, Dana! Oh, Mandy, I hope you're enjoying Dangerous Embrace! Thanks for stopping by! It is sometimes true the life is stranger than fiction. I love finding new romantic suspense authors. Your book looks great and I am looking forward to reading. Adding to my list to read. Thanks, Pam! I hope you enjoy Dangerous Embrace! I love it too, but sometimes my imagination gets the best of me and I lose sleeping over it. :) Thanks for commenting and entering the contest, Debra! Thanks for commenting. Good luck with the contest, Trish! Thanks for the giveaway, Dana. Looking forward to reading your books. Thanks, Jane! I hope you enjoy the story. Good luck with the giveaway! I can't wait to read this book. Your blog has inspired me to go watch the news :). I discovered this blog through Romance Magicians where Mareen Miller had blogged today. I'll definitly be back to visit. I love this site! It really is the only place dedicated to Romantic Suspense. I'll have to check out Romance Magicians. I really enjoyed reading this post today. I will have to make note to try Dana's books. So many great new to me names I find on this blog! Thanks, Colleen. I love this site too. It's one of my favorites. I love the way you think, Dana! :) I can't wait to read Dangerous Embrace! You know, so long as there's crazy things going on in the world, I always have something to write about. :o) Thanks, Carrie for visiting! I love romantic suspense and yours sounds very good. Thanks, Diane. I hope you enjoy it. Very nice excerpt. The book sounds good. Thanks for commenting! Good luck with the giveaway. 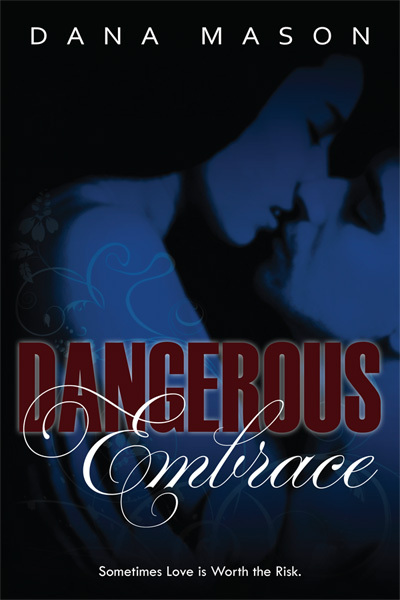 Thanks for the excerpt,Dana and congratulations on the release of Dangerous Embrace. I noticed that the book is listed as The Embrace Series #1 - how many books are planned? There are three books so far. Book two is Precious Embrace and book three is Anew Embrace. Thanks for commenting. I hope you enjoy the book. Congrats, Taurus! You will receive an email from Sapphire Star Publishing very soon about your ebook. I hope you enjoy Dangerous Embrace! I love a strong woman and a man who is the protector. This will be on my TBR list. Love the excerpt. Thanks, Kai. I hope you love the book too. Both your cover & title are great! It is a great gift that you have. When I was at school, I would have loved a few inspirational thoughts to have popped into my head when it was essay writing time.Congratulations on the book.